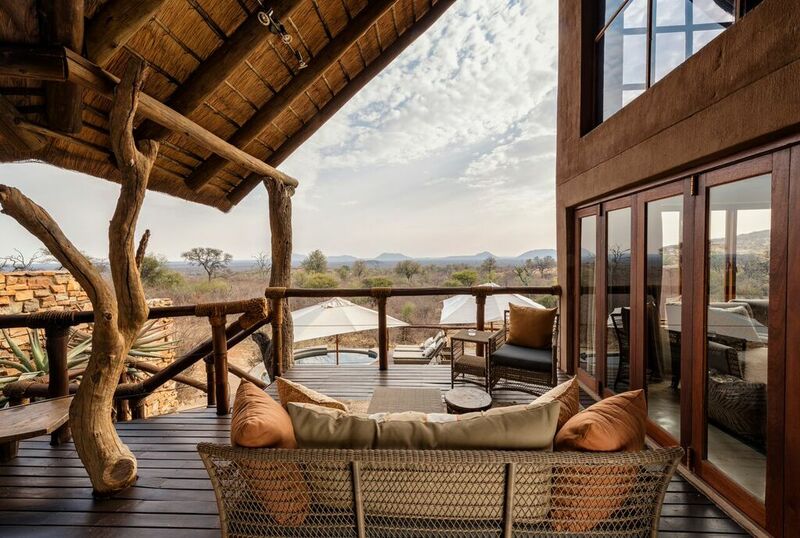 Impodimo Game Lodge is set atop a rocky crest at the source of a natural spring from where it commands spectacular views of Madikwe Game Reserve’s striking wilderness landscape. 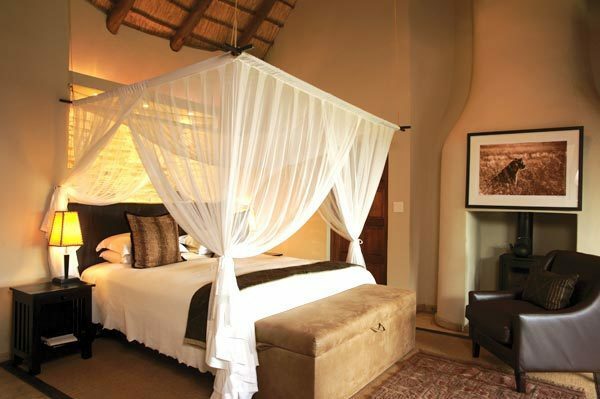 This luxurious owner-managed Game Lodge truly lives up to the essence of its name which means “a gift from God” in Tswana and boasts eight elevated glass-fronted luxury chalets and two deluxe chalets. 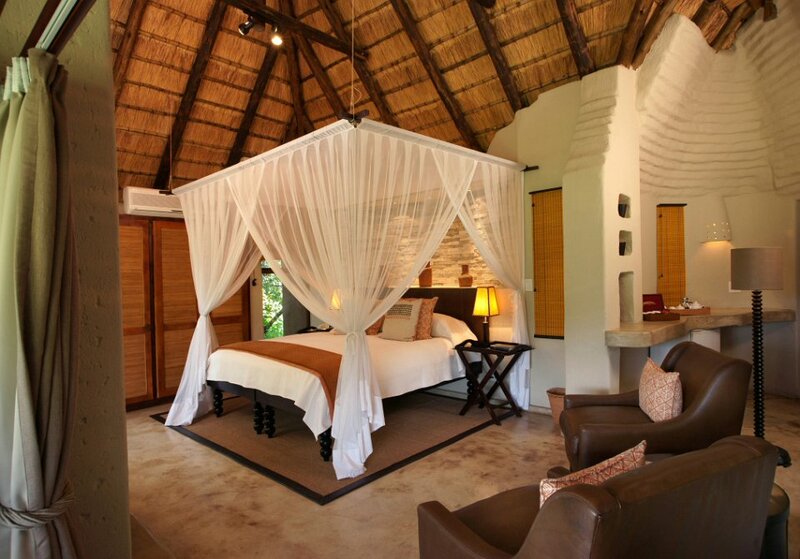 The beautifully decorated thatched chalets are all located to maximise your solitude and your vistas of the parade of resident game making their way to and from the waterhole. 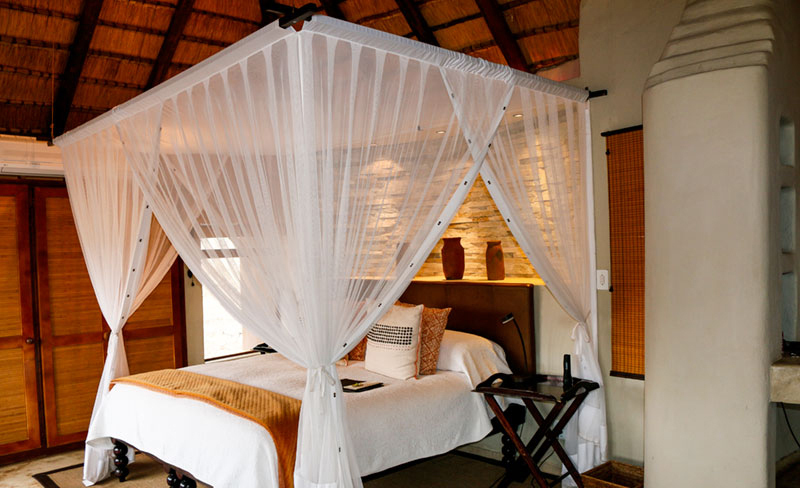 Each standard chalet has twin beds with the option of king-sized bed available on request, a fireplace, full en-suite bathroom, outdoor shower, mini-bar, safe, tea/coffee making facilities, air-conditioning, and a covered deck. 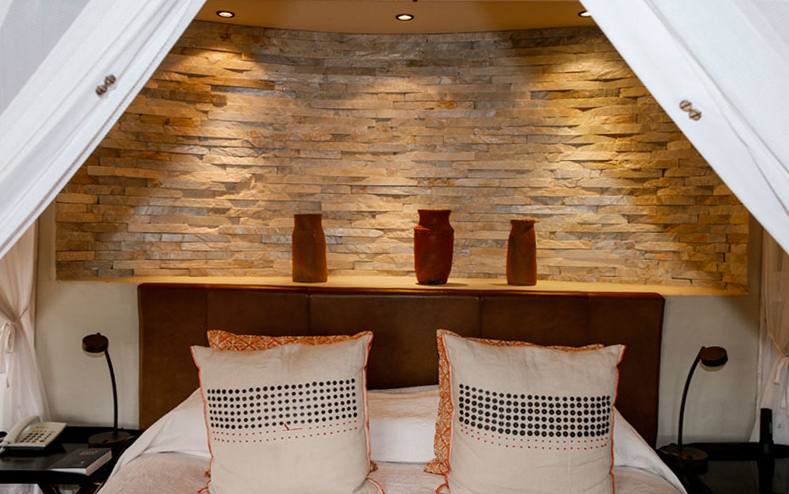 The opulent deluxe unit has two en-suite bedrooms, each with a private patio and en-suite bathroom with indoor and outdoor showers, double hand basin, and oversized bath and provides all the amenities found in the standard luxury chalets. 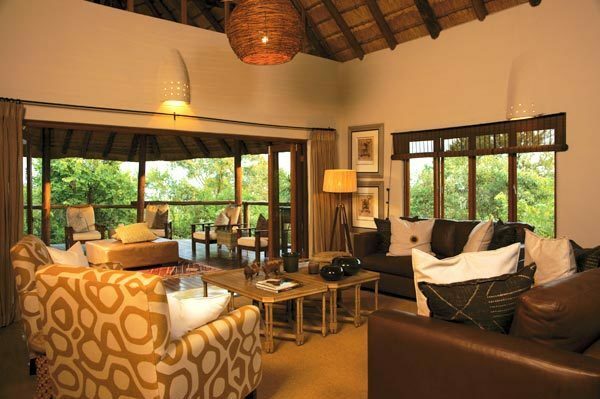 In addition, this spacious unit also has a central lounge, dining room, kitchen, and bar opening onto an extended wooden deck which features a refreshing plunge pool. 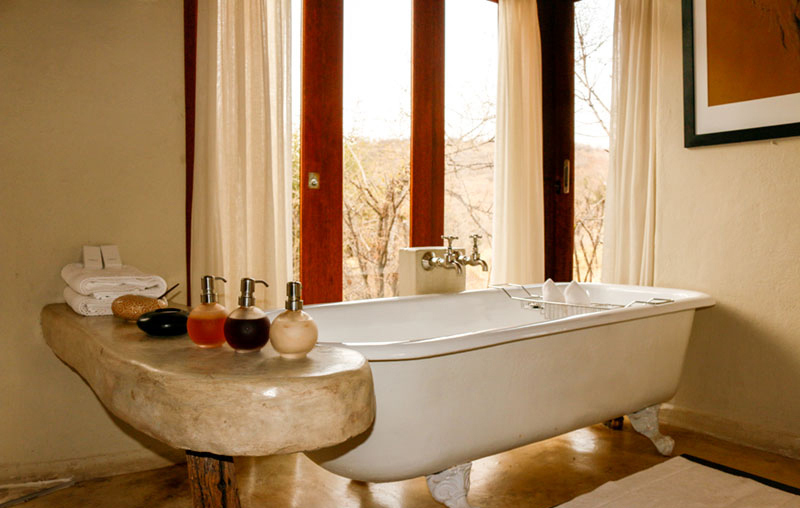 Visitors staying in the deluxe suites also have the exclusive use of a game drive vehicle at their disposal as well as the services of a dedicated chef. 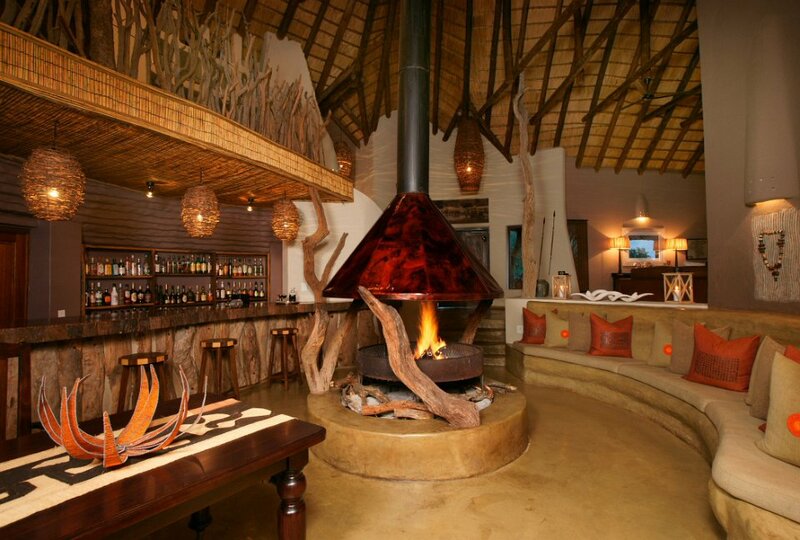 Impodimo’s main building is done out in the same contemporary Afro-centric style as the chalets and is the hub of this magnificent Game Lodge. 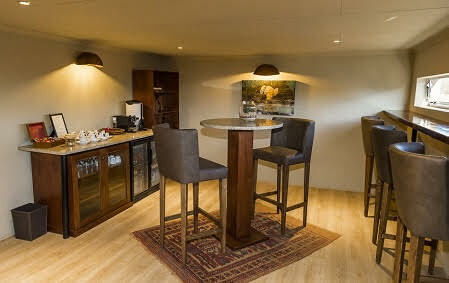 Here you will find an intimate sitting room, bar area with a stunning circular fireplace as its central point, a cosy library, well-stocked wine cellar, and curio shop. 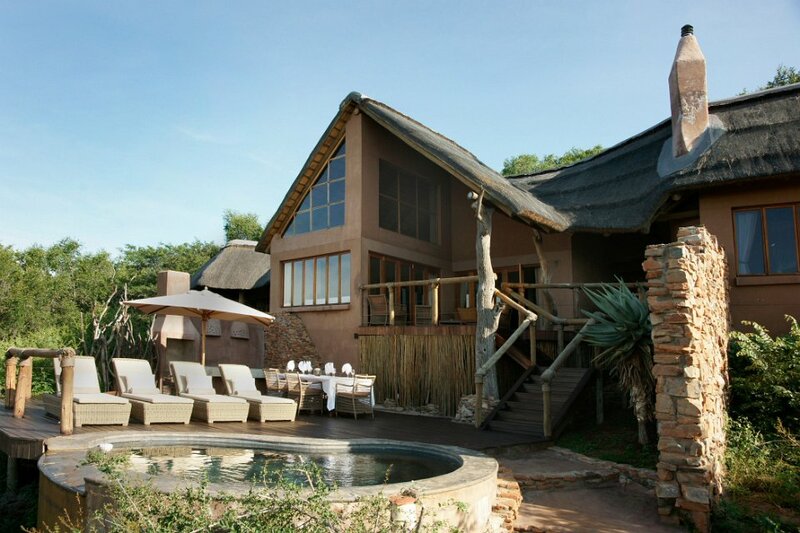 Scrumptious breakfasts and lunches are typically served in the pool Lapa while high teas are hosted al fresco in a spot overlooking Madikwe’s expansive terrain. 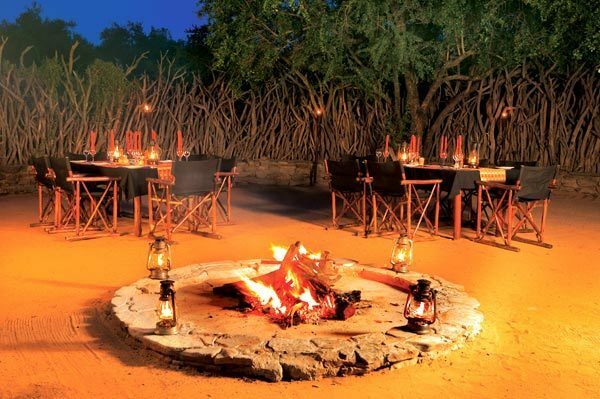 Come dinnertime the traditional firelit Boma is the perfect place to experience Impodimo’s delectable Pan-African cuisine and swap tales of your close encounters with Africa’s big game. 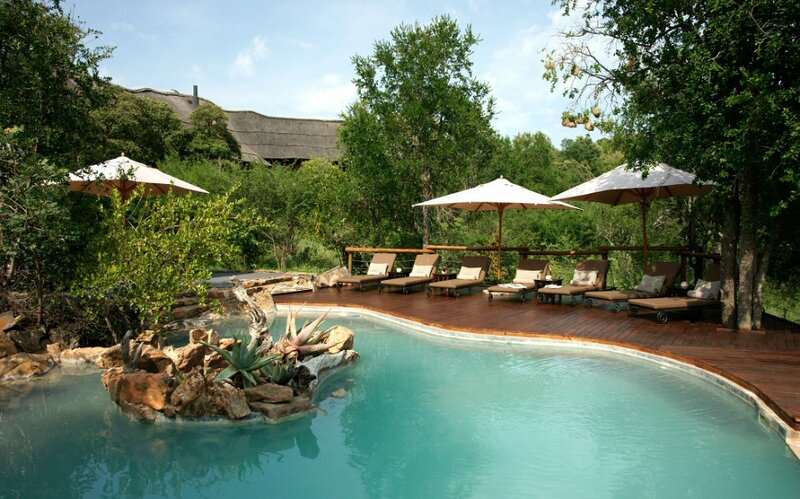 If you’re in need of some tranquility, why not retire to the crystal-clear pool or seek refuge in the Sala which lies adjacent to the waterhole. 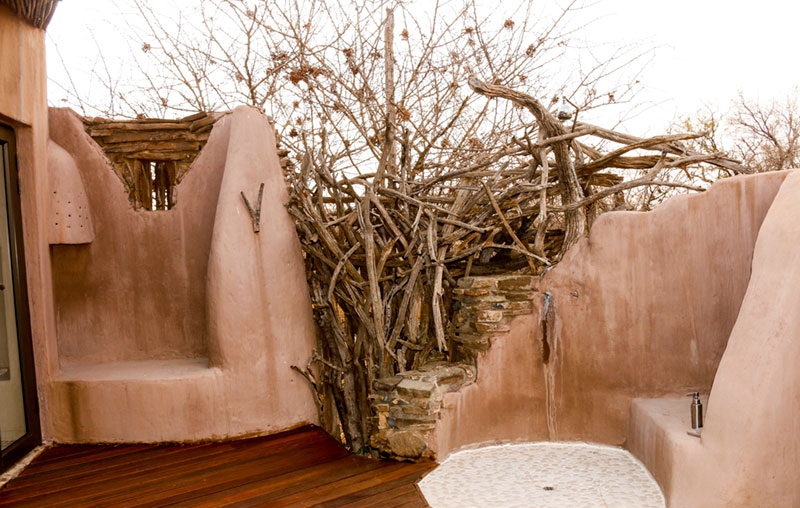 Or complete your day in the great outdoors with an indulgent in-room massage by one of Impodimo’s professional massage therapists. 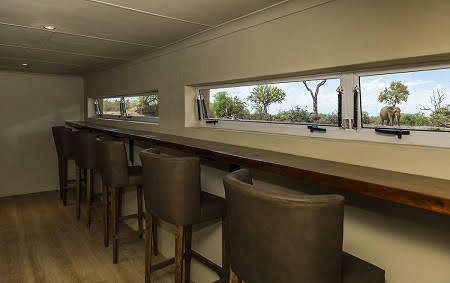 Impodimo Game Lodge is set up to offer guests the chance to discover all the wonders and wildlife that make Madikwe a world-acclaimed reserve. 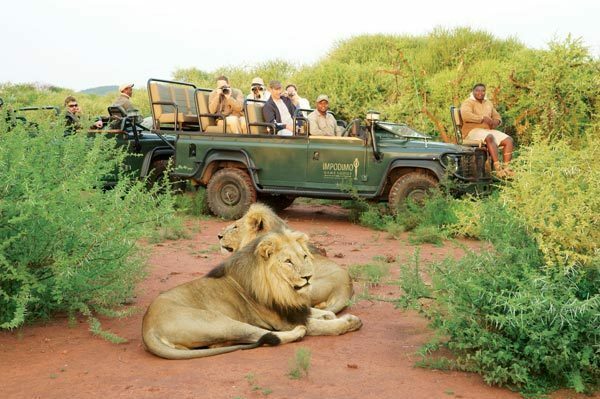 Activities include dawn and dusk game drives in open Landrovers and nature trails under the supervision of professional field guides and experienced Shangaan trackers. 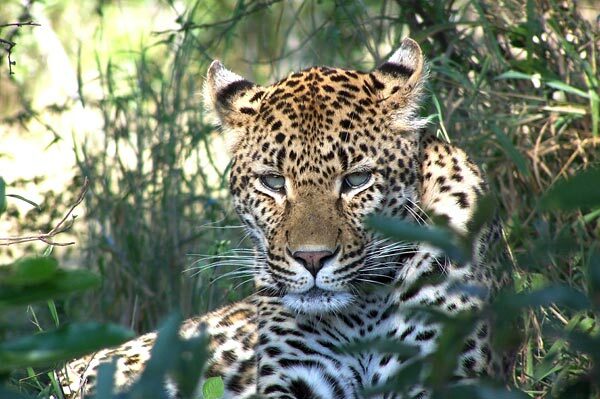 The late afternoon safari drive includes a sundowner stop, giving you the opportunity to watch the sun go down on another fabulous day in this wilderness idyll and observe the more elusive nocturnal bird- and wildlife. 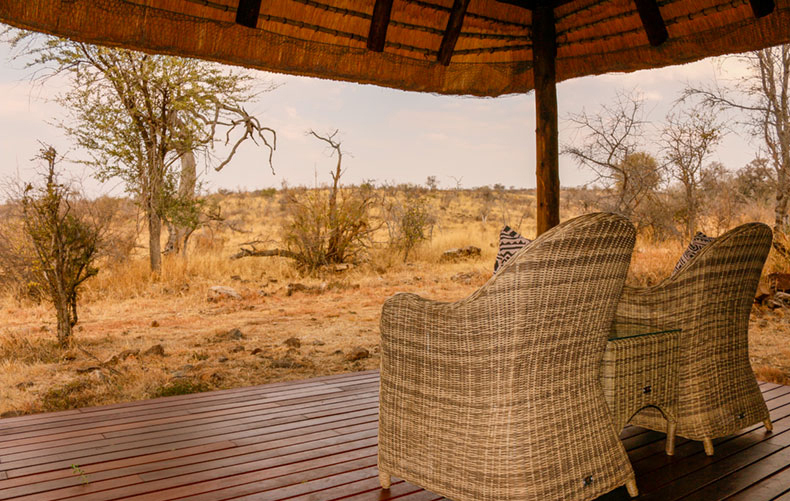 And in the cooler winter months, the Lodge provides visitors full-day trips to the other side of Madikwe Game Reserve, including a tasty picnic lunch. 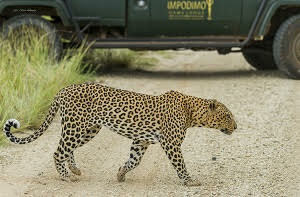 While junior visitors under the age of six are not permitted on the regular game drives, Impodimo does have a “bush bumble” for the children. 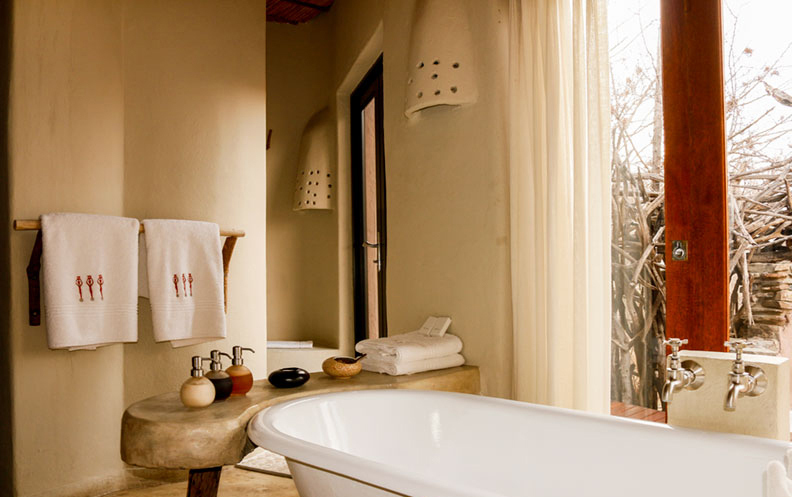 What’s more, each youngster will receive a personalized welcome pack with goodies and activities to do inbetween their mini-safaris. 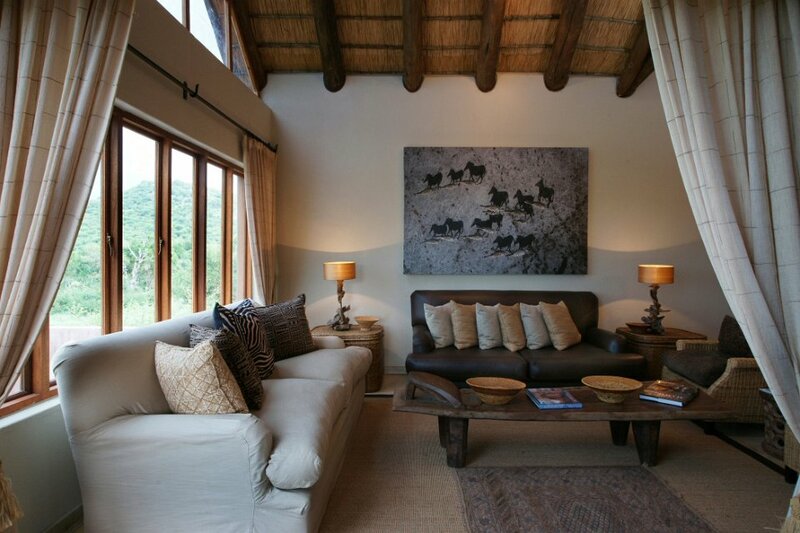 In addition, the Lodge does provide babysitting services on request. 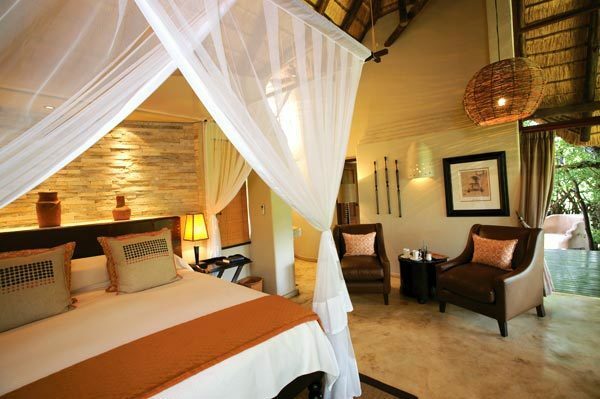 However, you wish to spend your time, Impodimo Game Lodge is geared to make your dream of a once-in- a-lifetime African safari a reality without comprising on life’s luxuries.